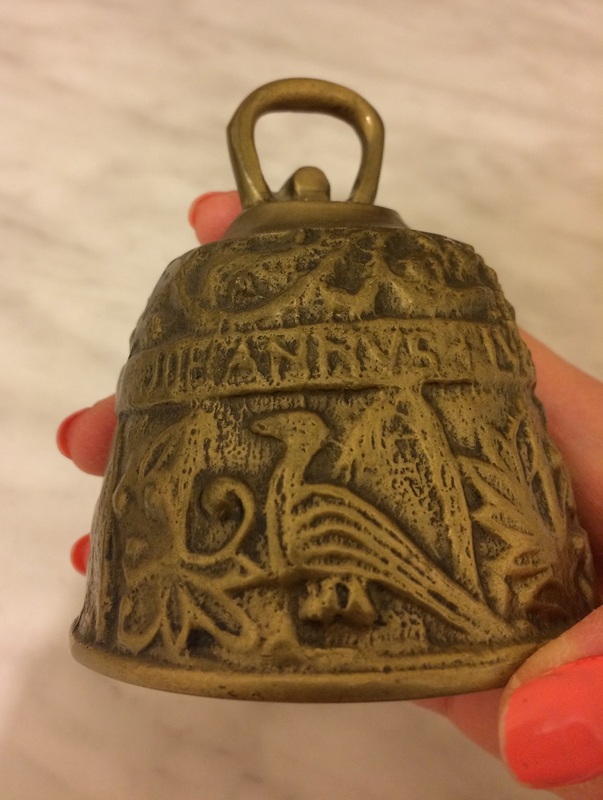 Here it is an antique bell with Evangelist names. 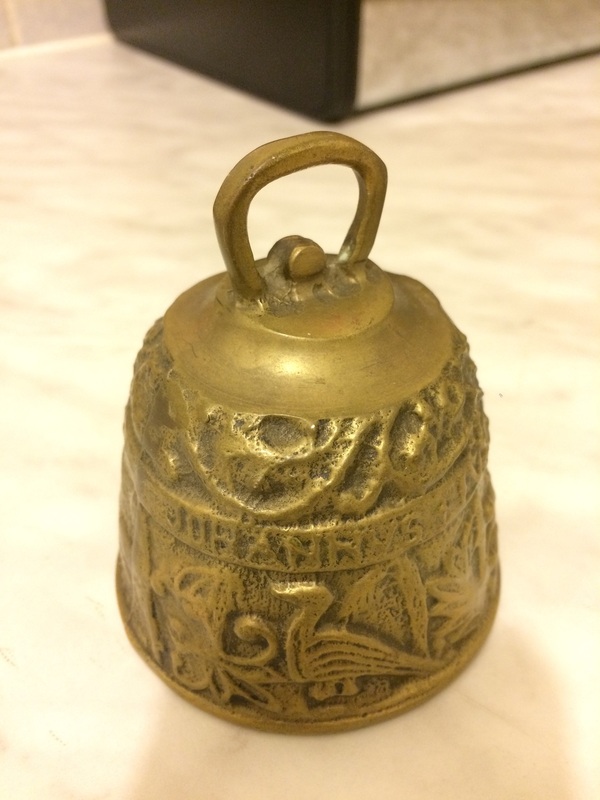 I bought it from Mainzer Antikladen, an antique shop in Mainz Germany. The seller told me that the bell is dated around 1930s. And it is German. 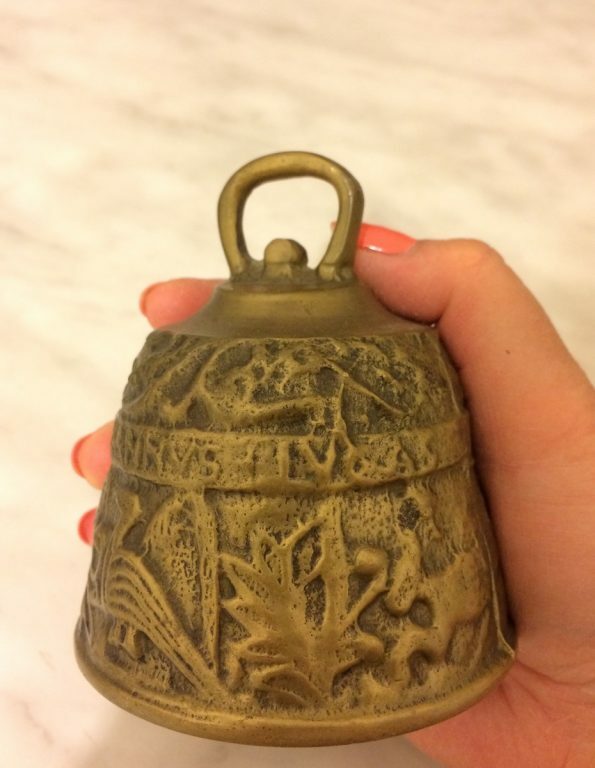 What attracted me the most is the decoration on the bell. It depicts four of the Evangelists: Matheus, Marcus. Lucas, Johannus. 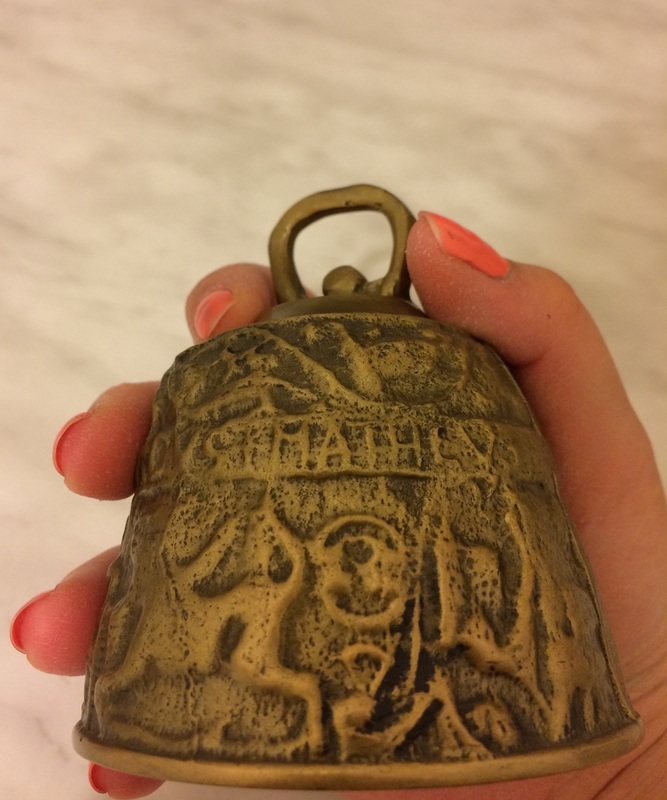 The pronunciation of the Evangelist names is in Latin, so it is written as MATHEVS, MARCVS, LVCAS, JOHANNVS. 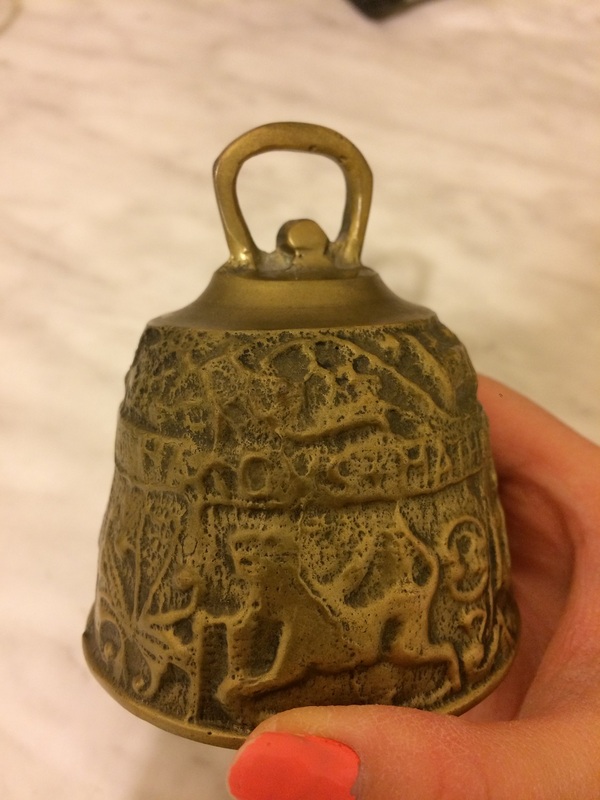 There is a sense of age in this bell. 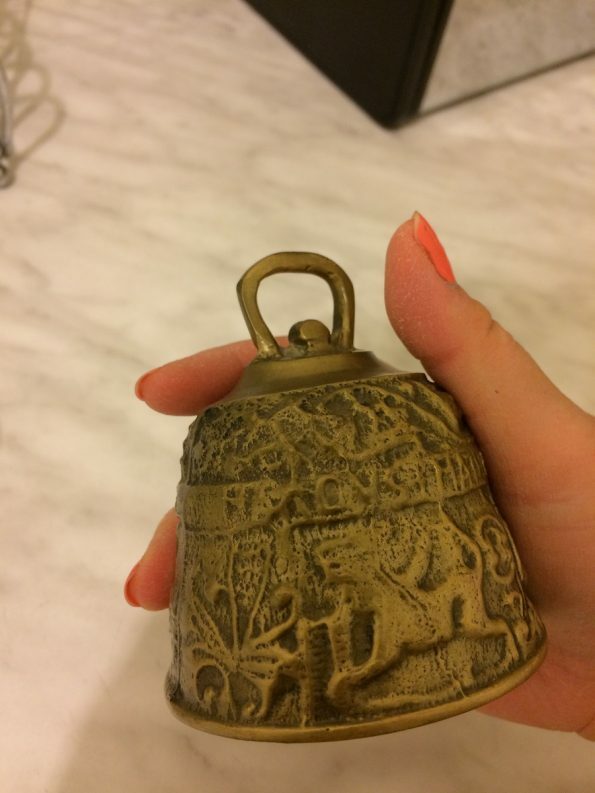 Some of the decorations have been rubbed. 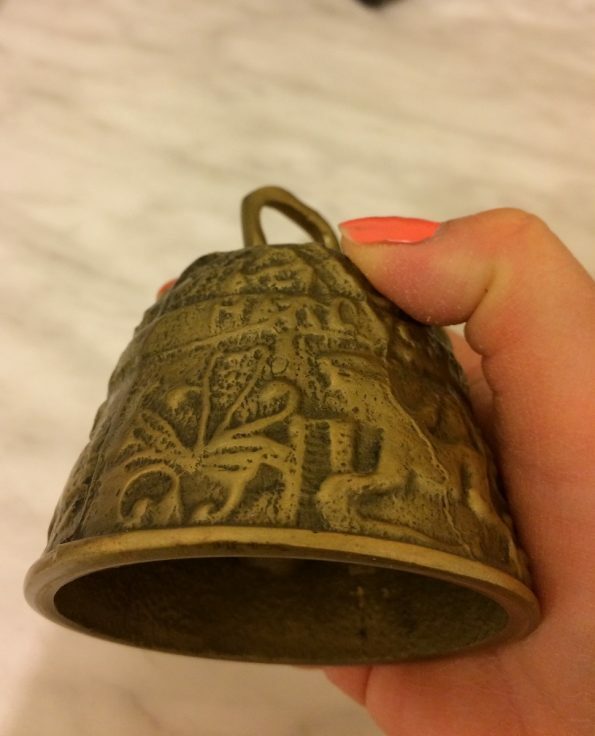 I asked the seller if this bell is a church bell, he says no this is a privately owned bell. So I am not quite sure if the bell has been used for a certain function or if it is just a decorative item. This brass bell is quite heavy. 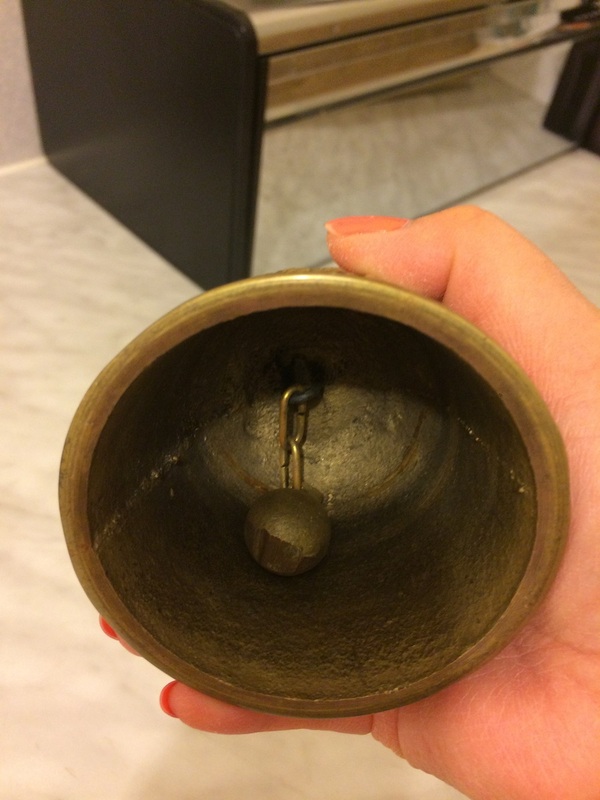 And it rings quite loud too. The below image shows the word ‘JOHANNVS’ on the bell. I am not familiar with Latin, but is ‘Johannvs’ the correct Latin pronunciation for Johannes? 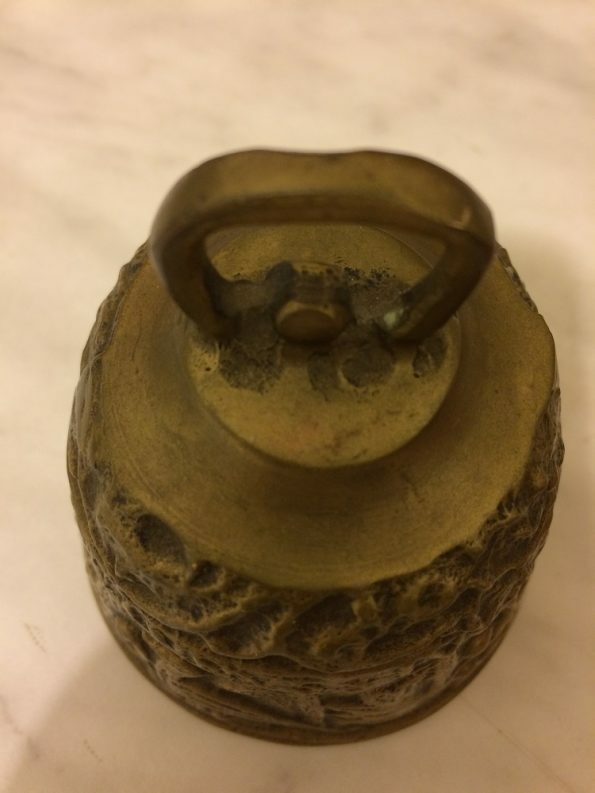 The bell really is a thick solid brass. 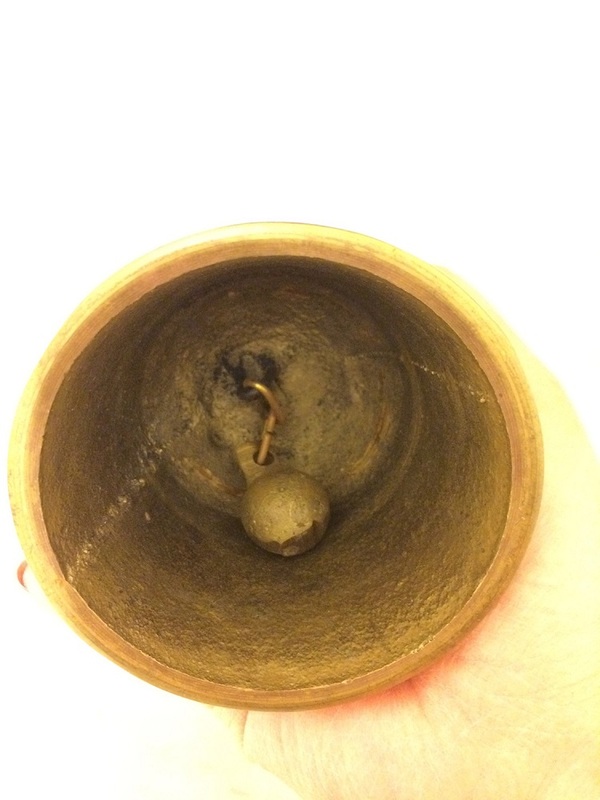 The bell from the top.